Meet Kris Kasawski, the founder of Park Power, one of the sponsors of the Alberta Podcast Network. 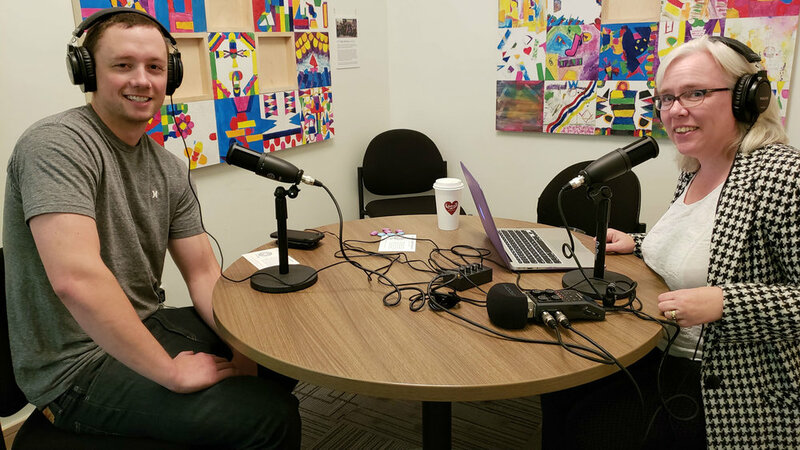 Kris Kasawki finds parallels between the growing world of podcasting and what he does at Park Power, a provider of electricity and natural gas in Alberta. Similar forces made it possible for him to start his business six years ago. In Alberta, energy deregulation means consumers can choose who to buy their electricity and natural gas from, though the supply remains guaranteed. That means providers like Park Power have to earn their customers. Kasawski does that by a combination of competitive rates and strong customer service. And he sweetens the deal by contributing 10 per cent of his profits to local charities. When customers sign up, they choose which of Park Power’s community partners to direct those funds to. That’s part of the happiness he hopes to pass on to his customers. Be sure to follow Park Power on Instagram, Twitter and Facebook. And to learn how you can switch, visit parkpower.ca. Podcast music is "His Last Share Of The Stars" by Doctor Turtle, courtesy of freemusicarchive.org. Kenzie Dutka of JobJar speaks with Alberta Podcast Network president Karen Unland at the ATB Entrepreneur Centre in Calgary on Sept. 12, 2018. You know that big, long “honey-do” list that neither you nor your honey is ever likely to complete? JobJar wants to help. The Calgary-based startup, which recently expanded to Edmonton and Winnipeg, is a marketplace for people who need work done around their houses, and “skilled doers” who know how to do that work. Sign up for JobJar at jobjar.ca. You can also find the company on Instagram, Facebook and Twitter. If you’re serious about your business and can spend three months with like-minded entrepreneurs who want to make their ideas happen, apply to ATB X.
October is Small Business Month, which is why we’re shining a light on some small businesses that our founding sponsor, ATB Financial, has helped out. Candice Munro, founder of Buttercream Clothing, speaks to Karen Unland of the Alberta Podcast Network, powered by ATB, at the ATB Entrepreneur Centre in Calgary on Sept. 12, 2018. Candice Munro started her business by sewing aprons at her kitchen table in Kelowna. It quickly evolved into Buttercream Clothing, a full-fledged company with a warehouse in Calgary and a growing customer base that loves buying and wearing her clothes and accessories, ethically made in Canada. There’s something about buttercream that tastes like more, and Munro has found that Buttercream’s fans can’t get enough of her wares, either. Some were so excited to support her company that they helped raise $25,000 in less than 24 hours through ATB LendR. Check out the new fall line at buttercreamclothing.com. You can also find the company on Instagram, Facebook, Twitter, and Pinterest. If crowdlending could help your business, or you’re looking to lend some money to a promising Alberta-based business, be sure to check out ATB LendR.